The perfect family vacations in Rhodes! 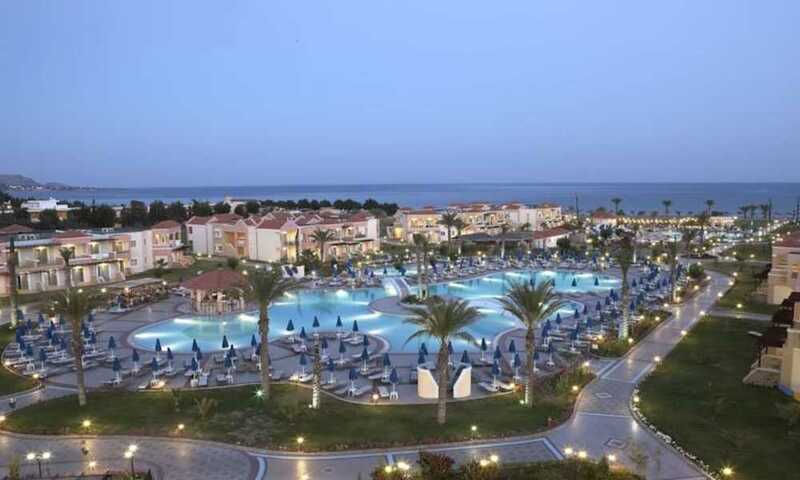 Just a short drive from charming Lindos, Lindos Princess Beach Hotel All Inclusive is a impressive 4-star hotel in Rhodes features an exceptional range of facilities. Nestled on the beach, this Rhodes property is 0.3 mi (0.5 km) from Lardos Beach and 2.3 mi (3.6 km) from Pefkos Beach. Lindos Beach and St. Pauls Bay are also within 6 mi (10 km). Catch some rays at the beach or spend the day relaxing at Lindos Princess Beach Hotel All Inclusive's full-service spa. Then enjoy a meal at one of the property's 4 restaurants. All 575 soundproofed rooms feature free WiFi and minibars. For a bit of entertainment, LCD TVs come with satellite channels, and guests will also find refrigerators and free bottled water.